Klara Ramm is the chair of the EurEau Committee on Economics and Legal Affairs and an expert at IGWP, the Polish Waterworks Chamber of Commerce. Europe’s water infrastructure includes the pipe network, pumps and treatment plants that are operated by both public and private water and wastewater utilities. Many wastewater utilities also manage stormwater, protecting against flooding. Segments of the EU’s 7 million kilometres of pipes have been in operation for over 100 years. Investment in water infrastructure is not keeping pace with the challenges we are facing, the growing population, urbanisation or climate change. We would need to double our sectors annual investment of €45 billion in order to modernise our infrastructure and protect health, the environment and, at least to some extent, reduce costs. This ageing infrastructure represents a potential loss in the quality levels of water supply and sanitation services. Lost water is a waste of resources. Broken or blocked wastewater pipes may cause discharge of untreated sewage into local waterways. Good water infrastructure safeguards supply, protects the environment and saves money in the long term. It is positive that the European Commission is assessing member states’ medium-term financing needs related to the supply of safe water and sanitation. However, simply stepping up maintenance and replacement is not enough, as substantial new challenges loom. These include adapting to the effects of climate change, resource efficiency and emerging pollutants, which could change how we treat drinking water and wastewater. To meet these challenges and continue delivering safe water today and tomorrow and collect and treat waste water to preserve the aquatic environment, we need to invest in our water supply and sanitation infrastructure. There is no alternative and the long term payoff is worth it. Poland – for example – is seeing the benefit of investment in water infrastructure. Between 2004 and 2007, the European Commission allocated €12.9bn of community funds, which were combined with €4bn of Polish public and private funds, to improving the Polish water infrastructure. 376 new waste water treatment plants were built and 1.206 were extended or modernised in the 2003-2014 period. Over 76.000km of sewage networks were built, exceeding €14bn in investments. Thanks to this investment, some Polish cities reduced their water use by 25% on average. In Warsaw alone, individual daily use was estimated at 450 litres in the 1990’s. Today, this is less than 100 litres. This was achieved through leakage reduction, renewed and upgraded infrastructure, education and smart networks. The investment also saw an increase in water quality, including bathing water. The coastal waters in the Baltic Sea improved due to the Urban Waste Water Treatment Directive, meaning that in 2016, 86.5% of all coastal bathing waters met at least sufficient water quality standards. Opinions diverge as who should fund those investments. According to the Water Framework Directive Member States should recover the cost for water services in accordance with the polluter pays principle. This cost should be disaggregated into at least three water uses: households, industry and agriculture. While this works well in a number of countries for households, the other users often pay less, especially considering to the pollution they generate. One way of solving the underinvestment issues would be for the EU to fully implement the Polluter Pays Principle. This becomes even more vital as the technologies to remove emerging pollutants such as pharmaceuticals, microplastics or pesticides require substantial investments from the water sector, which is not the originator of the pollution. 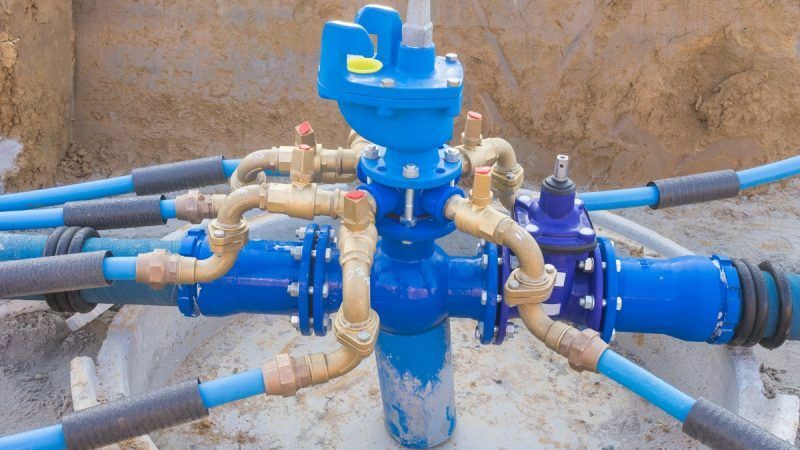 The money mobilised for those investments, often directly financed by consumer bills, is not available for significant investments, and the whole funding mechanism could jeopardise the affordability of water services. Clearly, charging tariffs to consumers will not be enough. Taxes and transfers are fundamental especially in countries which still require heavy investments to ensure compliance with the EU’s water legislation. The next MFF (2021-2027) must foresee sufficient funding for regional development tools to support member states. Investment in research will ensure that new, more effective and more efficient solutions are developed and brought to the market. The water sector is ready to protect consumer and environmental health. Key to this is financing the required investments to deliver and implement these solutions. Decision makers need to implement the Polluter Pays Principle and make polluters assume their full financial responsibilities for the hazardous emissions so that we can ensure safe and clean water, today and tomorrow. Domestic consumers cannot be expected to shoulder these financial and non-financial costs.